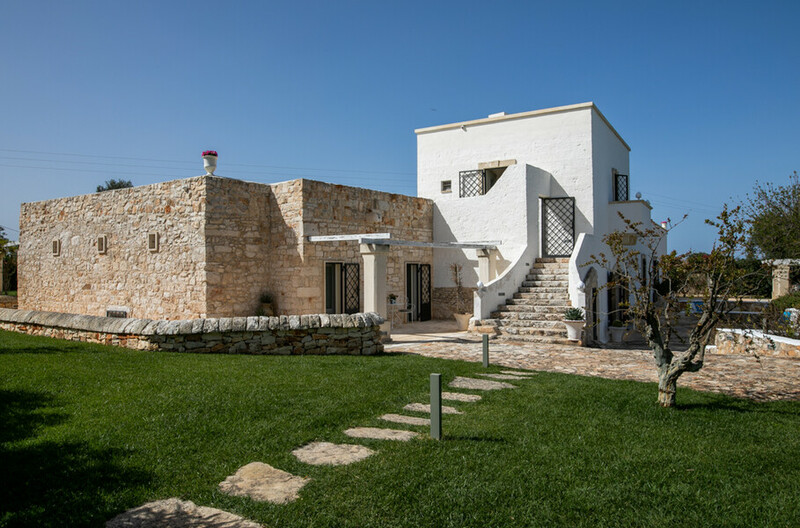 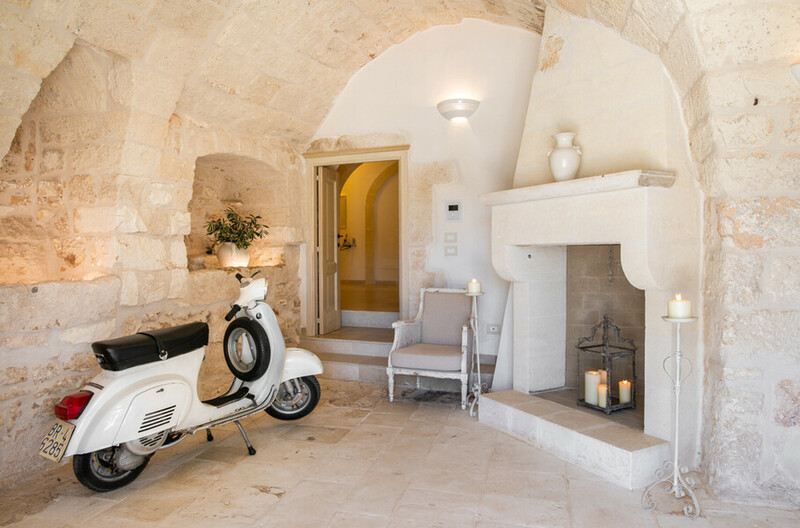 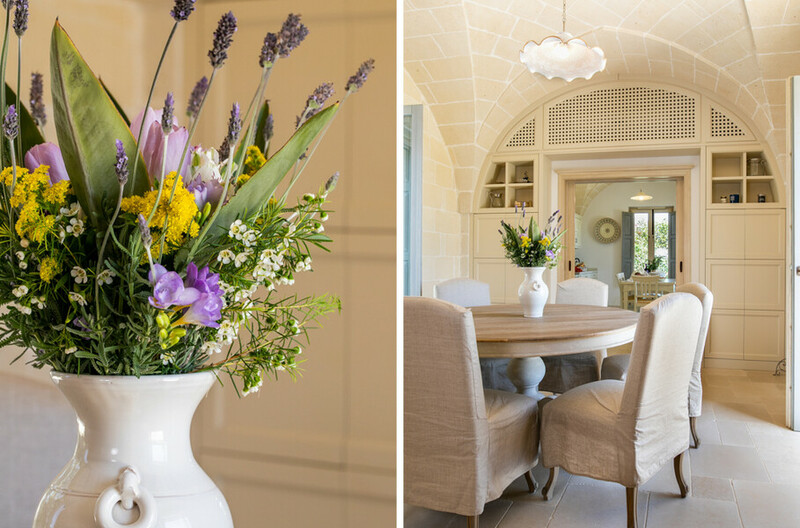 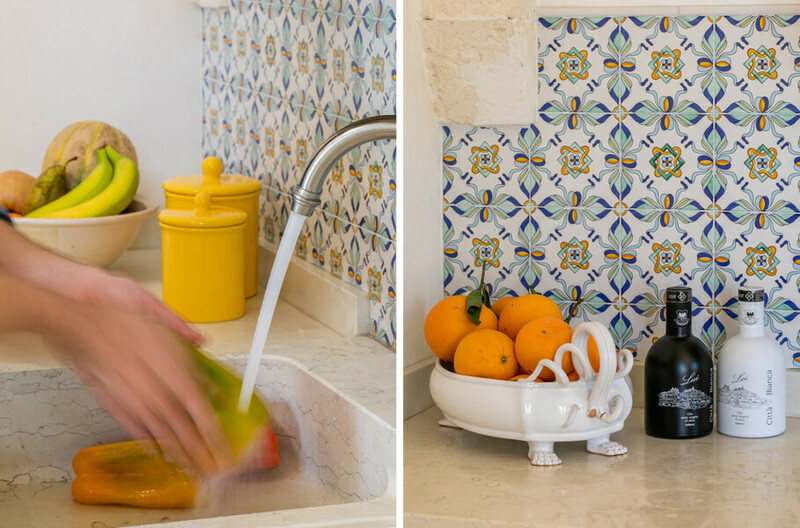 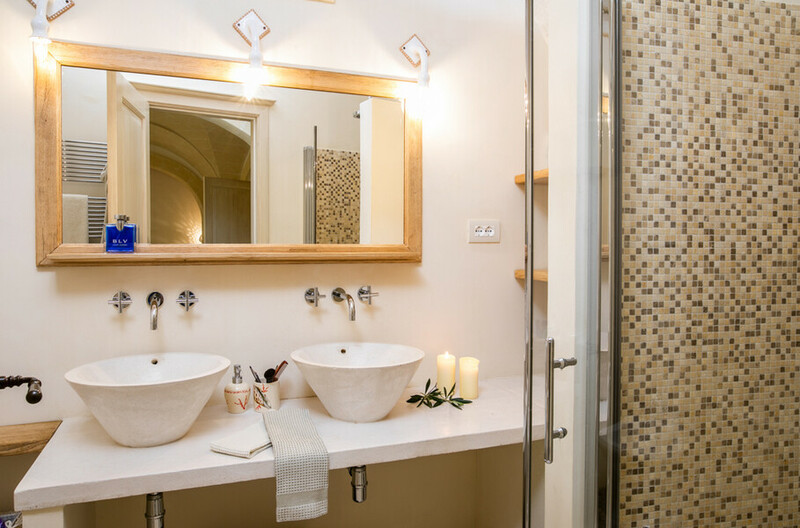 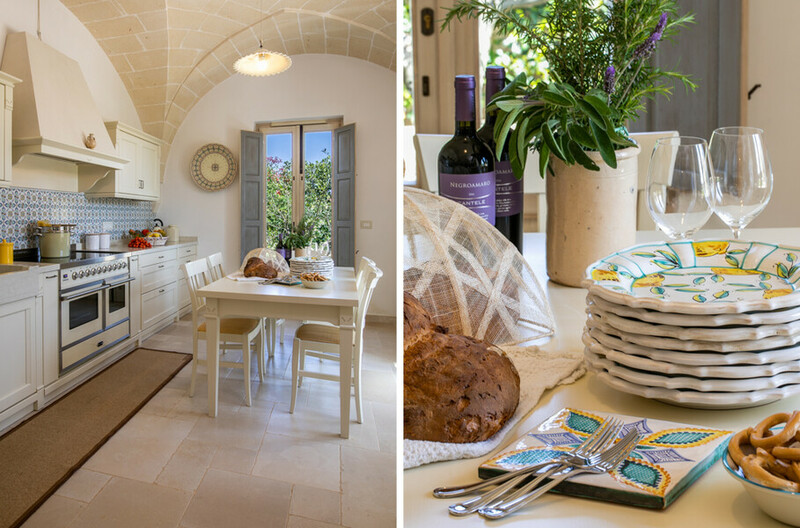 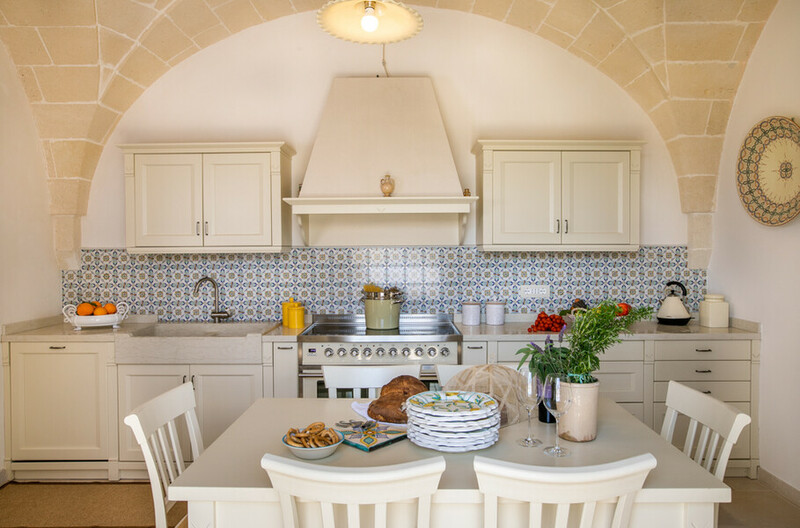 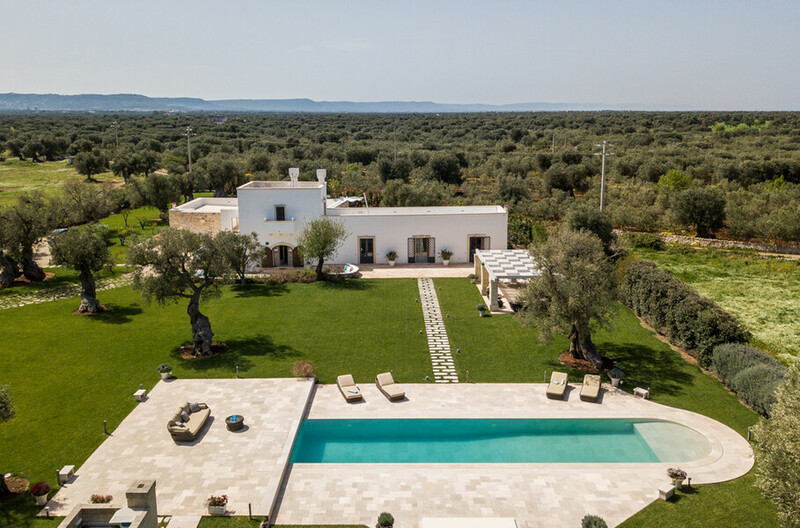 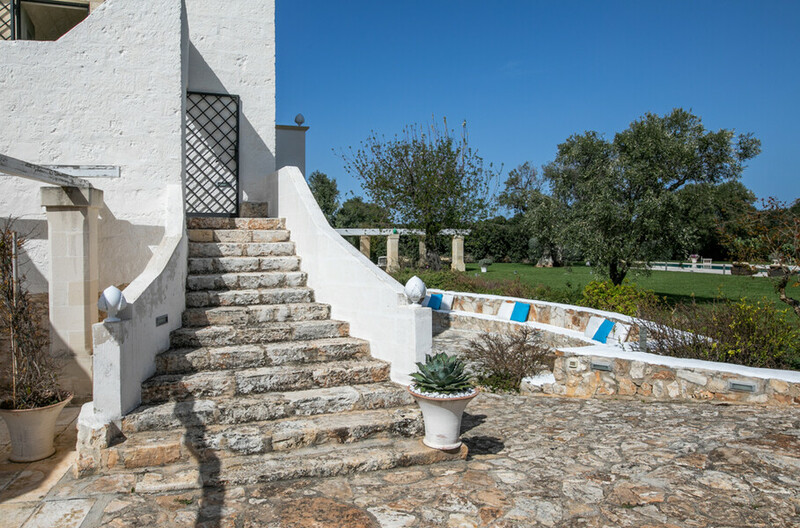 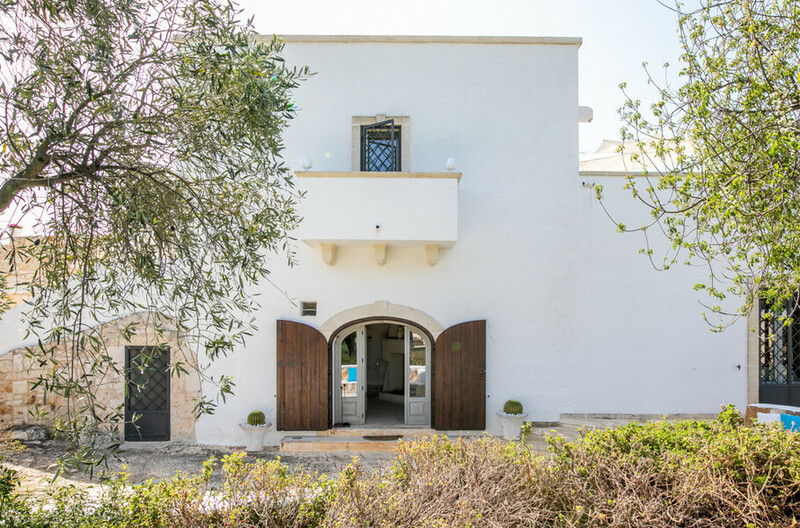 The exclusive Masseria «Il Frantoio» is located in hundred-year-old, silvery-green glittering olive groves embedded in the level of the charming historical town of Ostuni, which is known mainly for its architecture lovers under the name «Città Bianca». 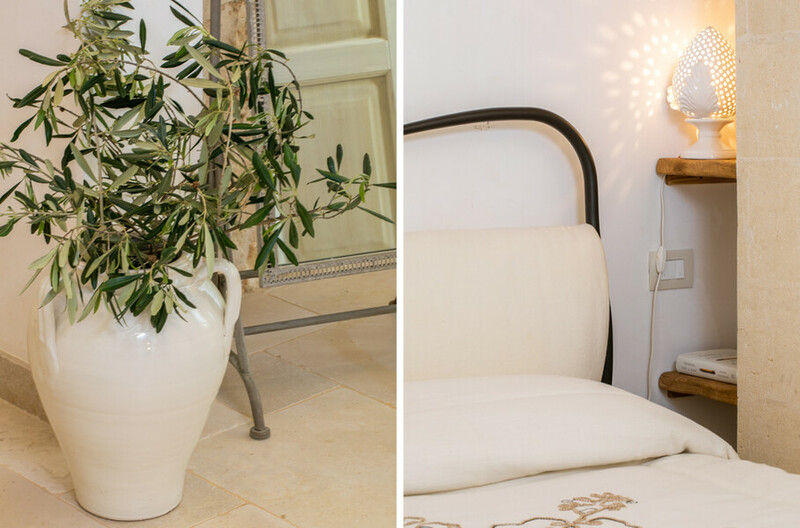 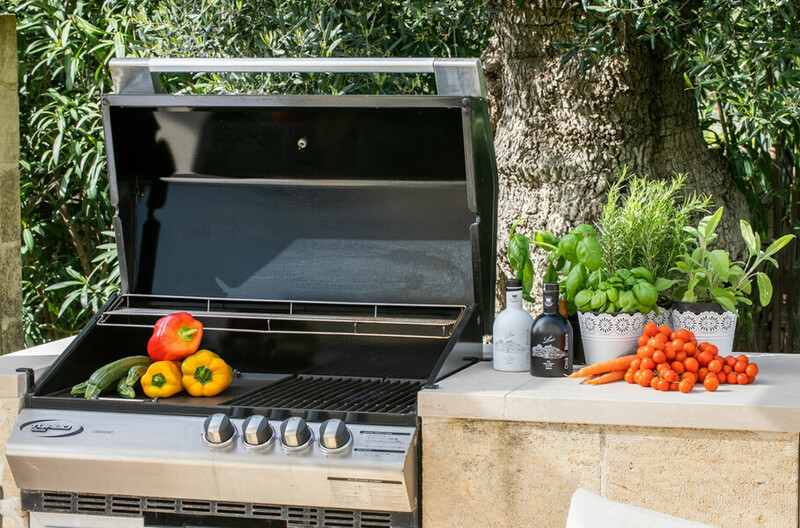 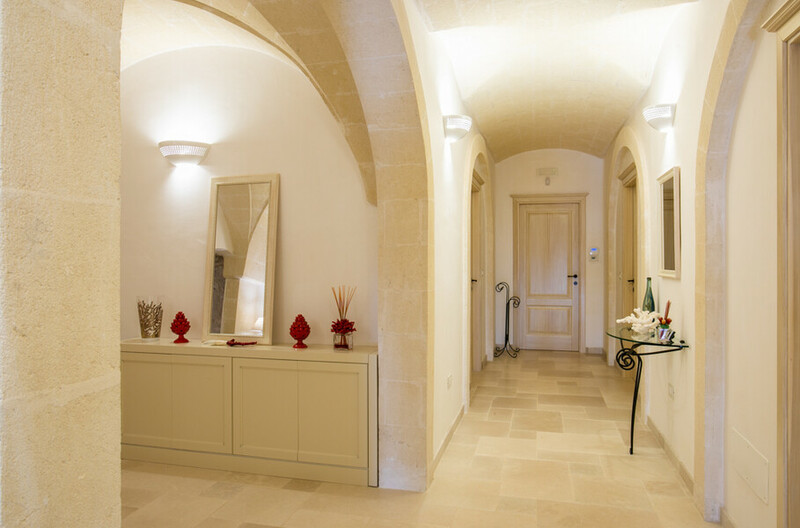 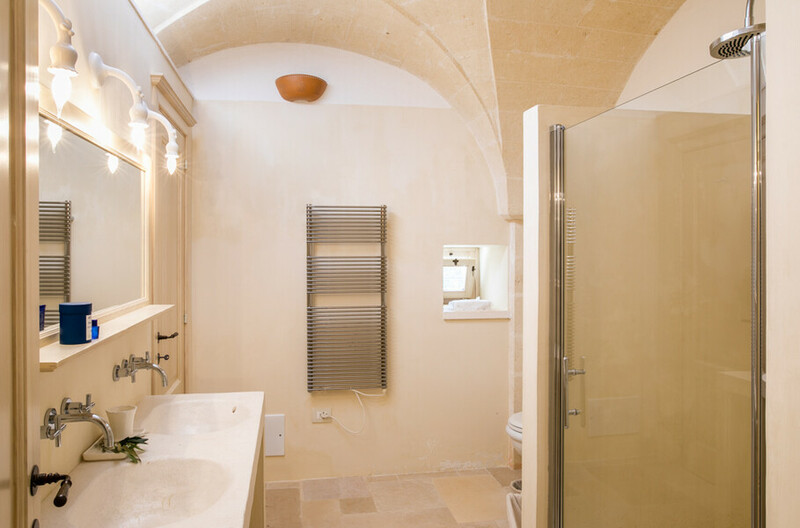 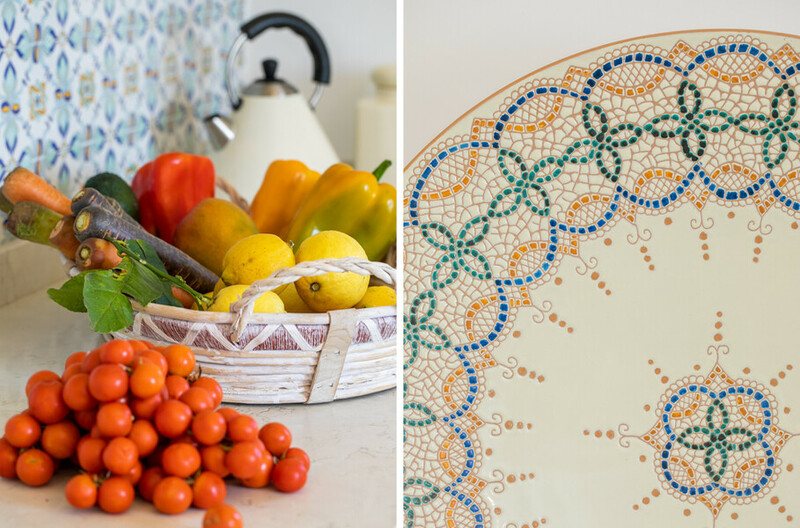 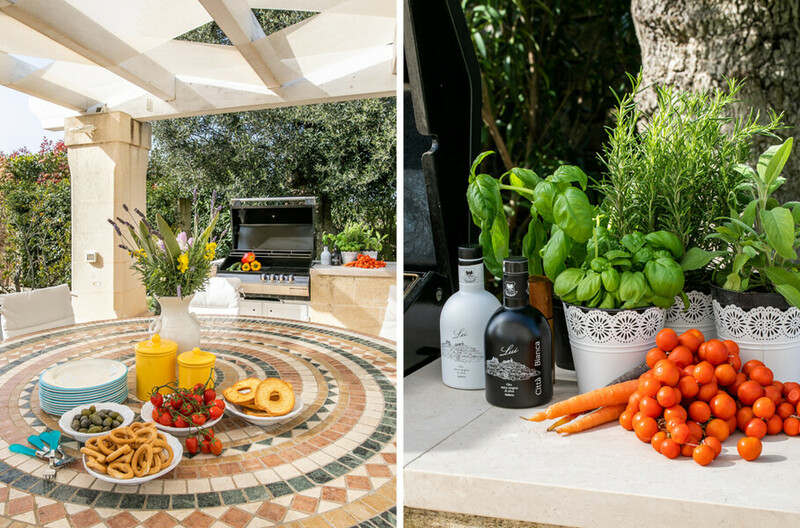 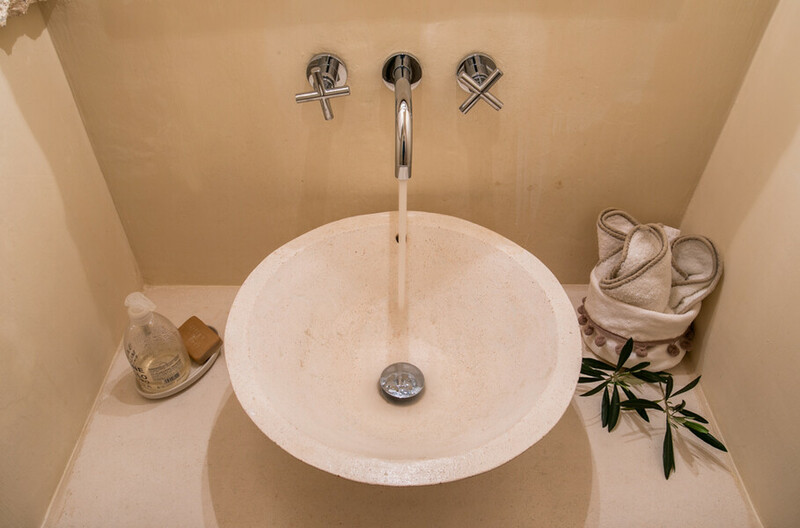 «Il Frantoio» combines the Apulian tradition and the modern typical Masseriastil in a symbiotic way. 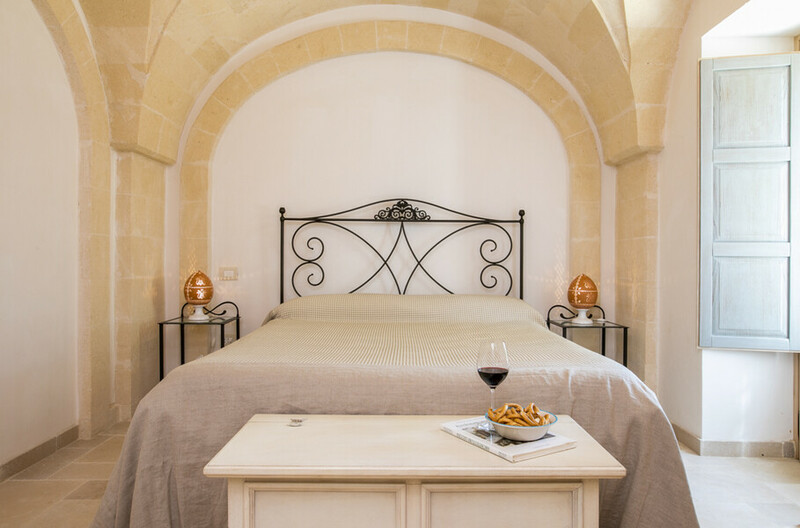 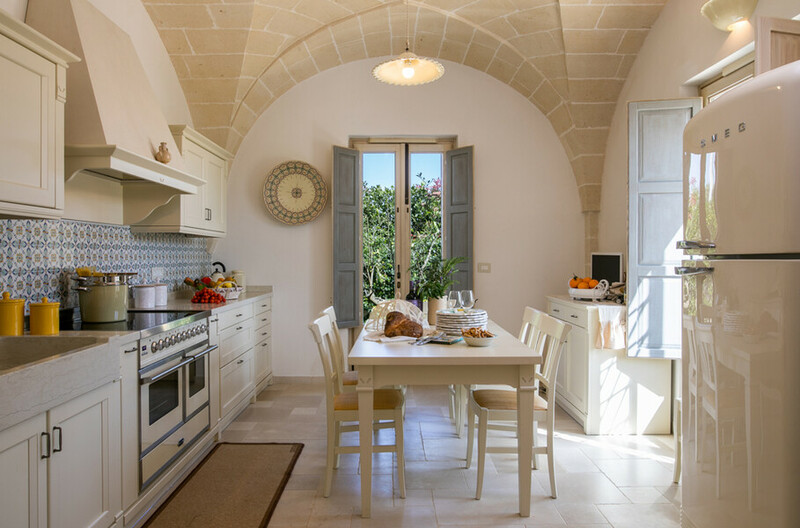 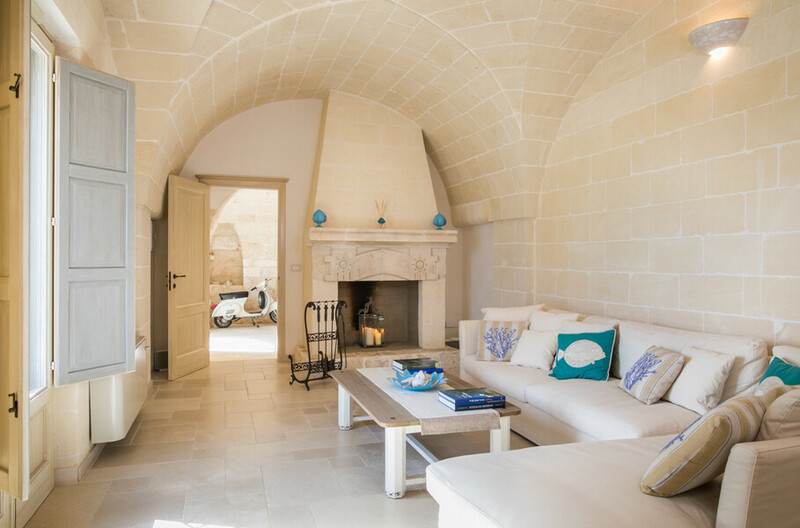 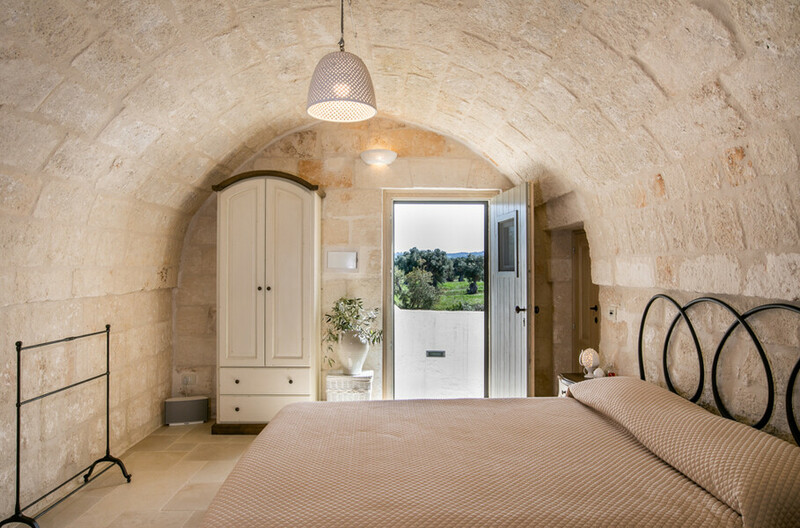 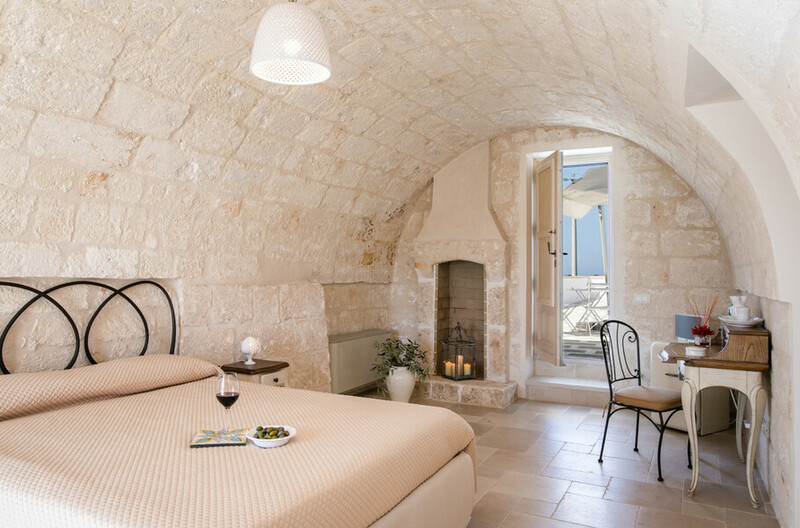 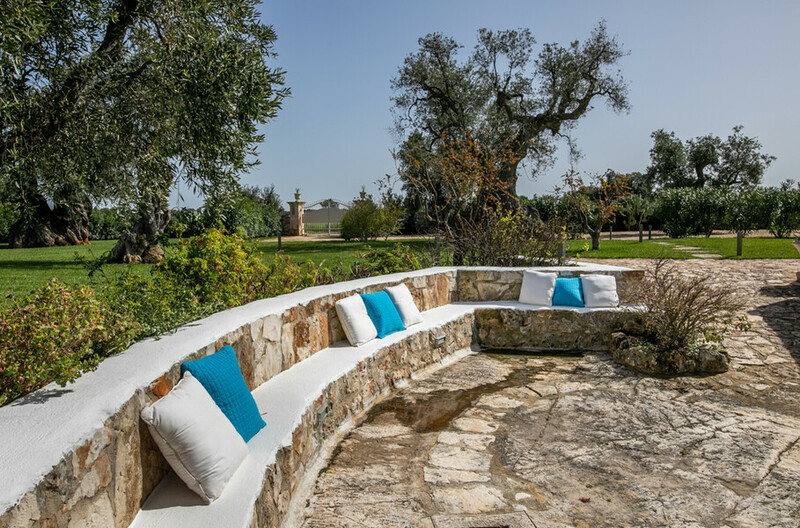 The completely restored stately home with 5 spacious bedrooms and 4 exclusively equipped bathrooms is built on the walls of an over 2,000 year old olive mill. 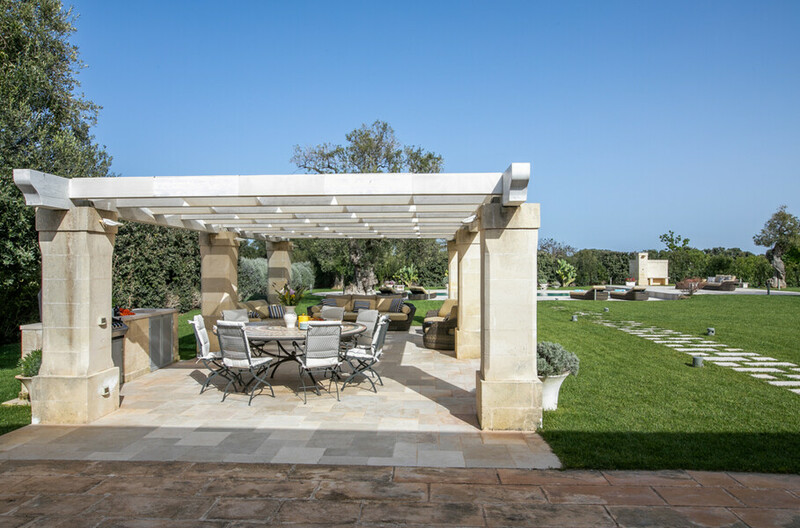 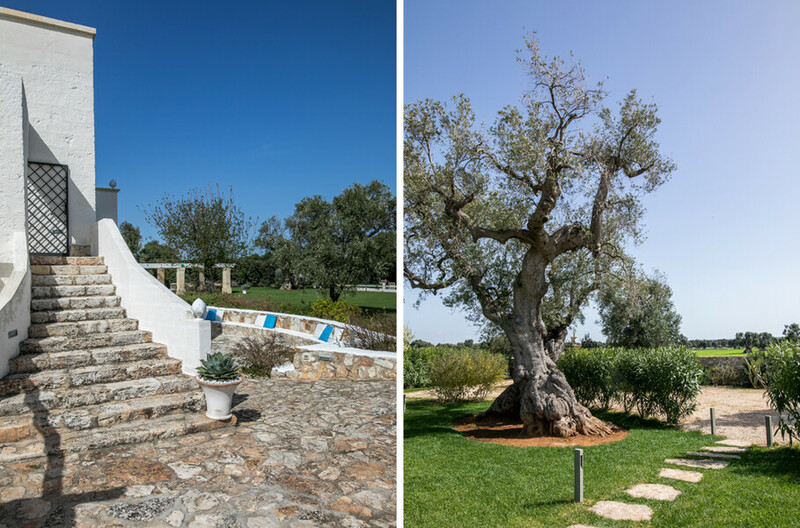 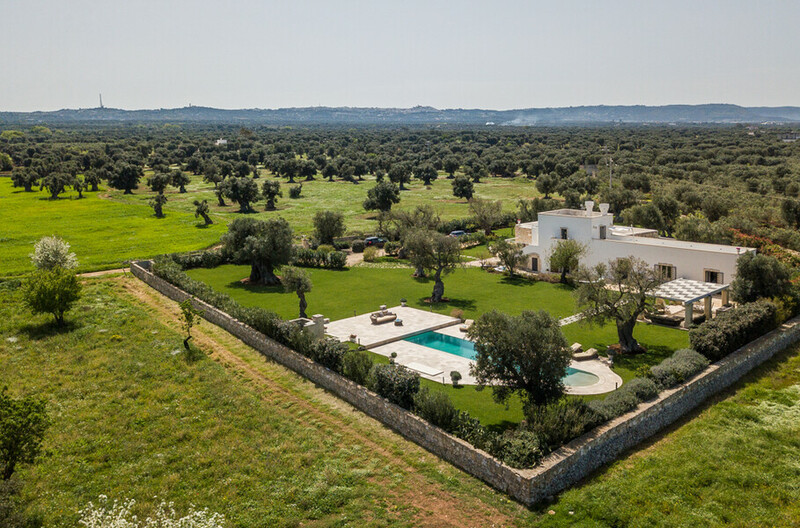 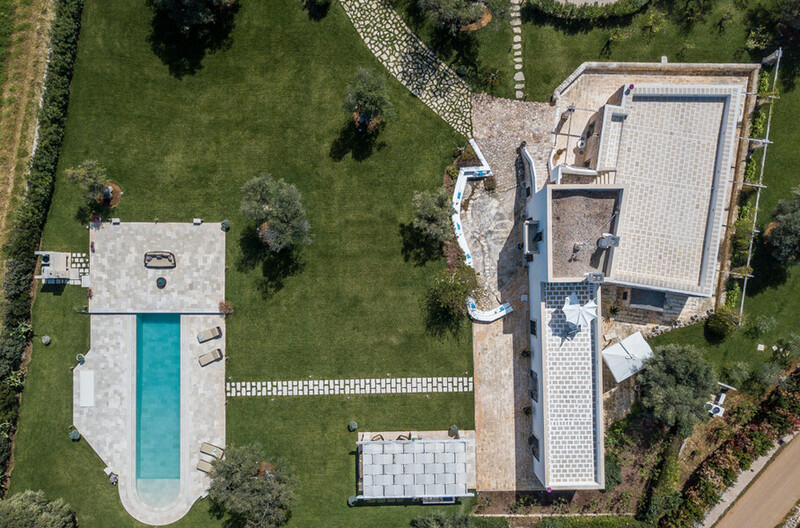 The approximately 1-hectare private garden with a green lawn adorned, over one thousand year old olive trees. 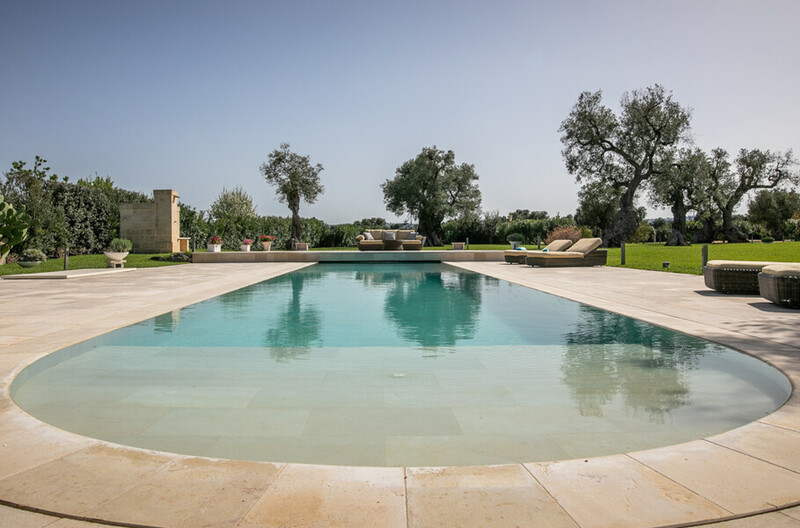 A stately, heated pool as well as a covered dining area lined with noble natural stones invite you to enjoy relaxing hours. 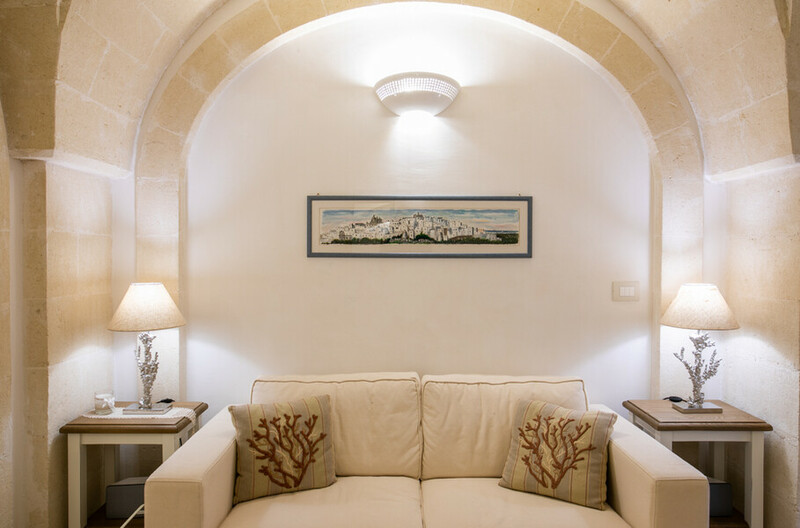 Ground floor: spacious entrance hall with guest WC and open fireplace, spacious living room with open fireplace and adjoining dining area, kitchen with oven, induction cooker, microwave, refrigerator with freezer, dishwasher and Nespresso coffee machine, 3 bedrooms with private bathrooms, 1 guest room. 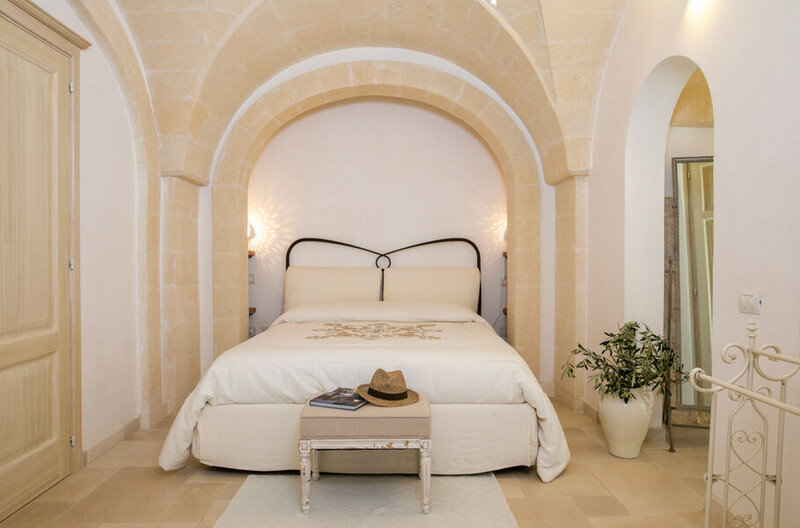 First floor: The romantic bedroom with its own bathroom can be reached via the outside staircase. 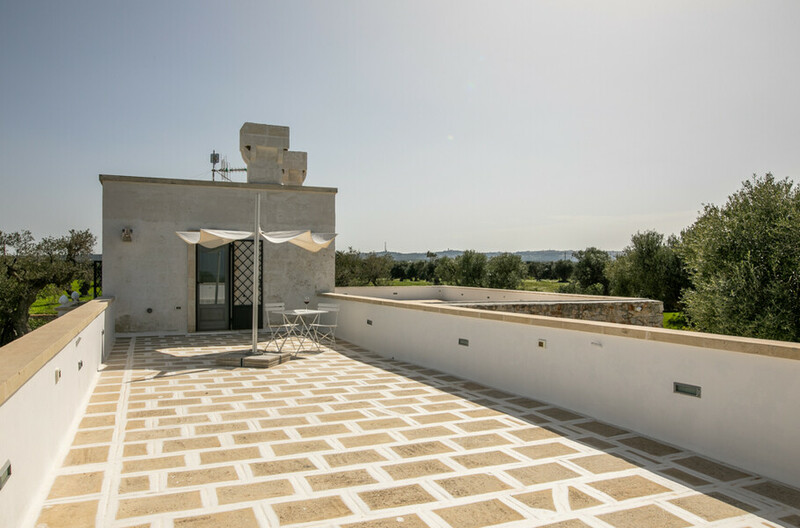 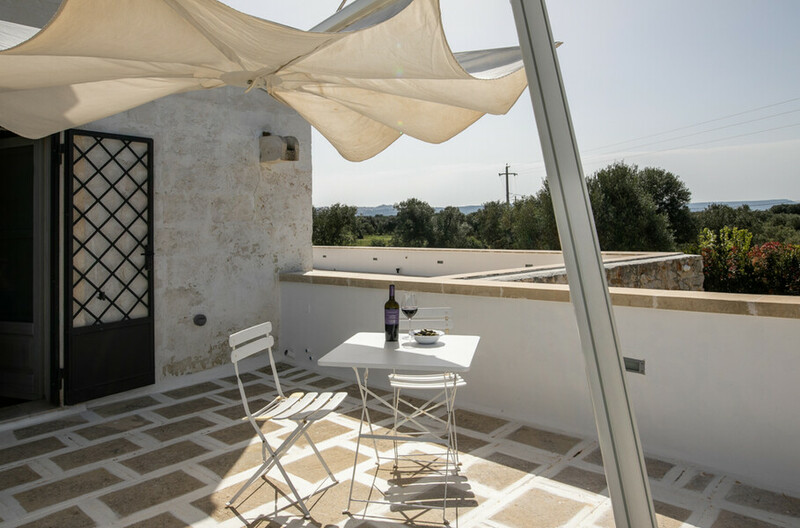 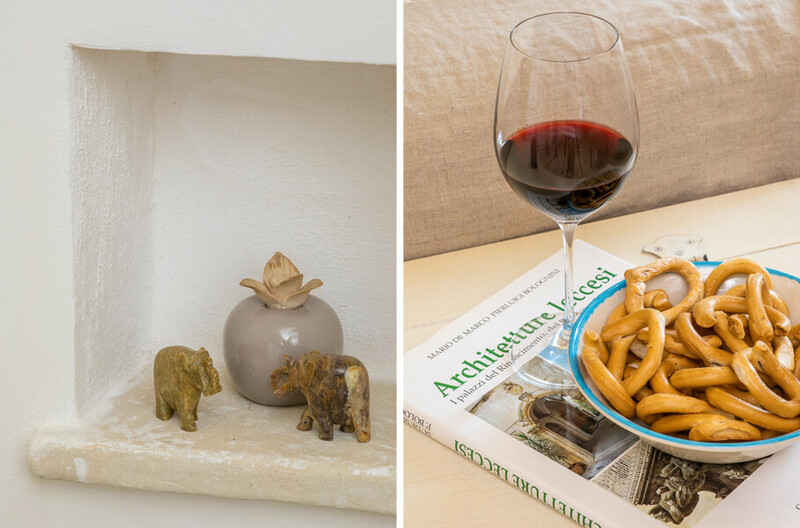 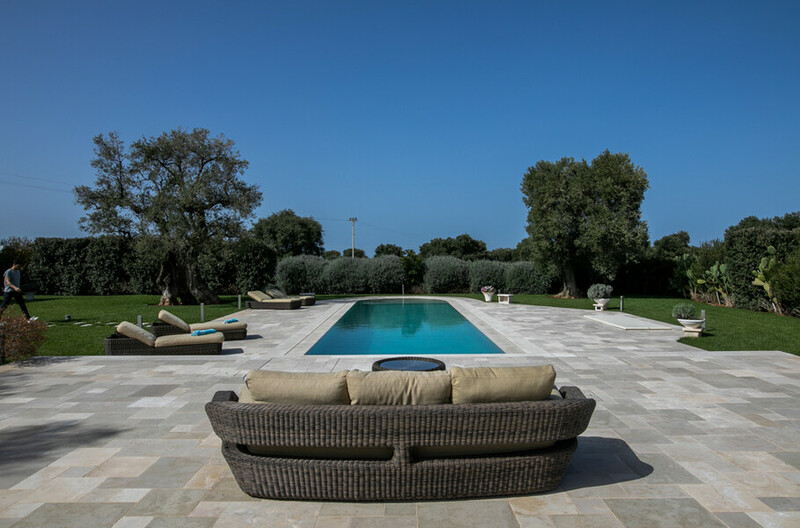 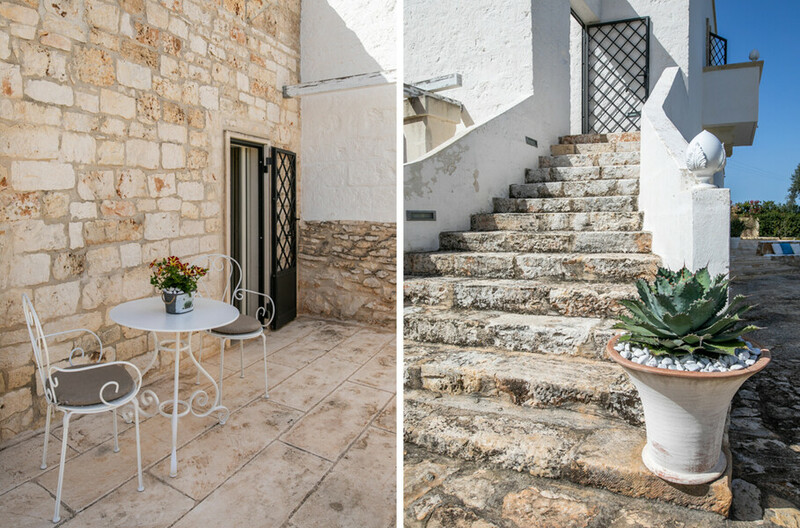 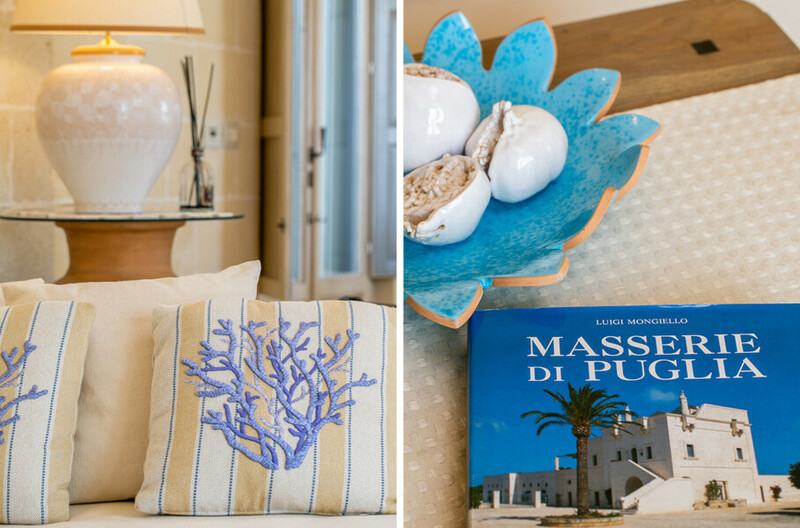 Two terraces offer a beautiful view of the sea and the city of Ostuni. 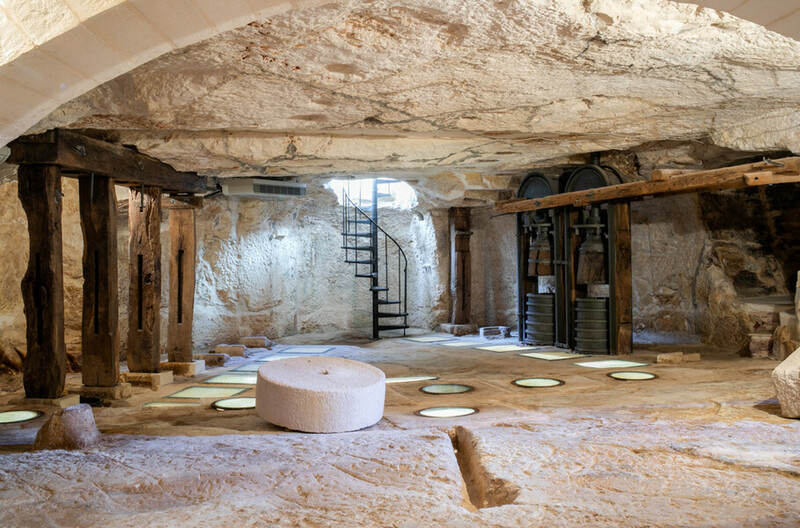 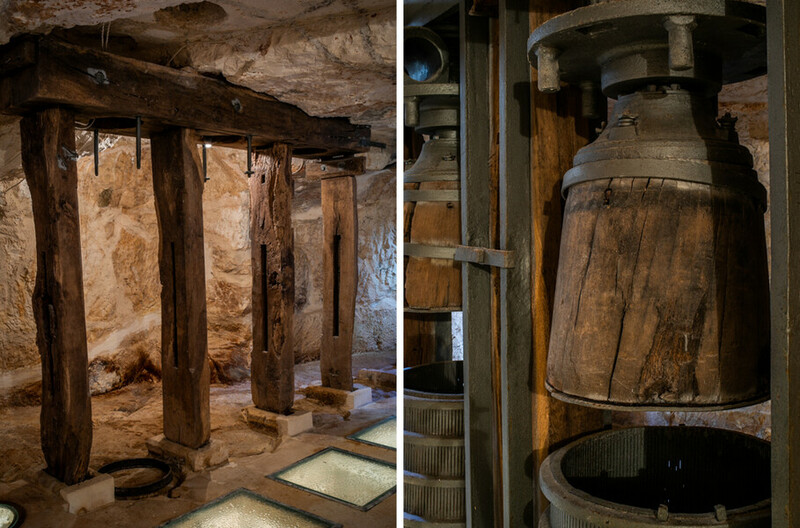 Below ground: Here is the old mill, which was still retained in its original charm. 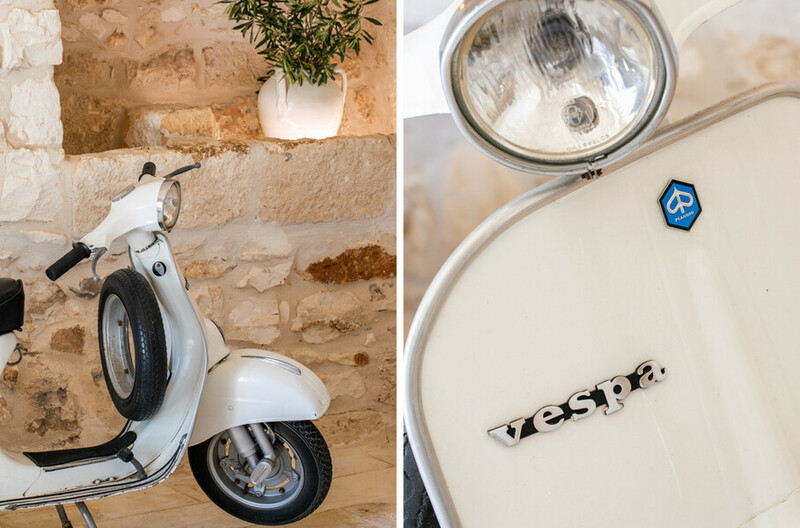 Also suitable for events. 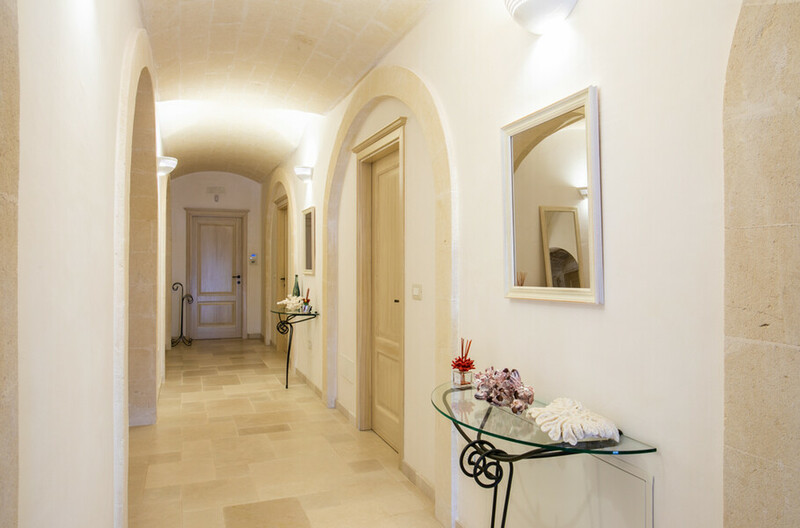 All rooms including floor can be heated or cooled. 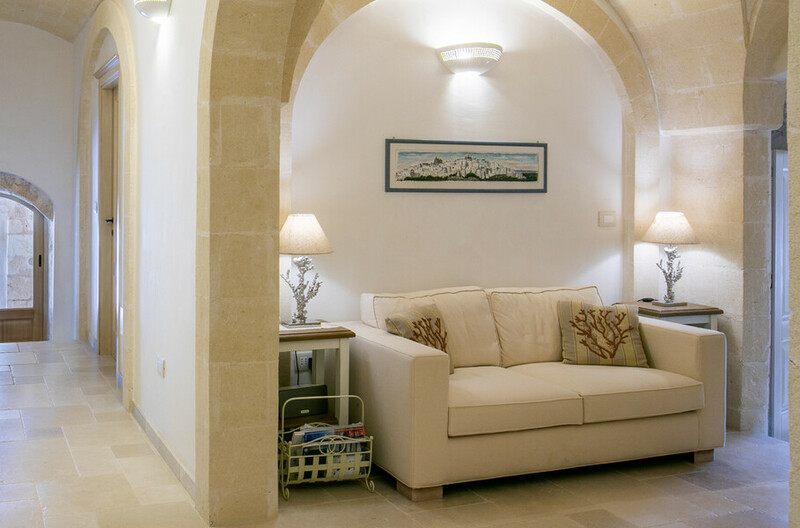 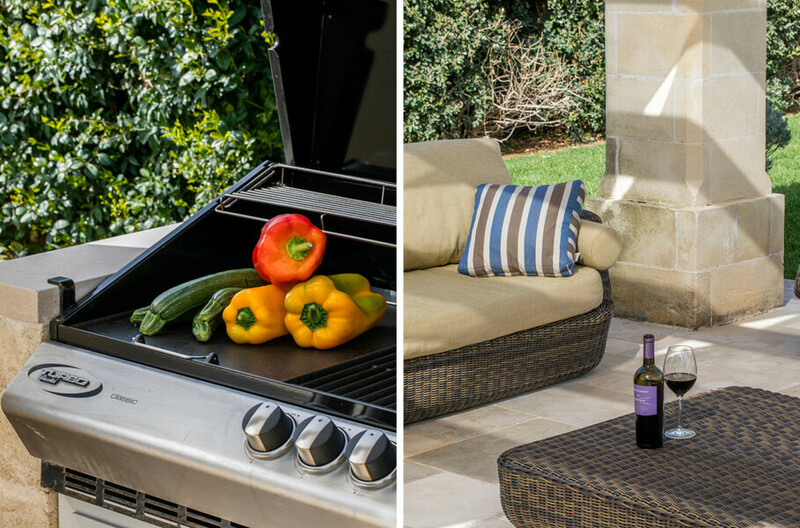 All rooms have direct access to the outdoor area. 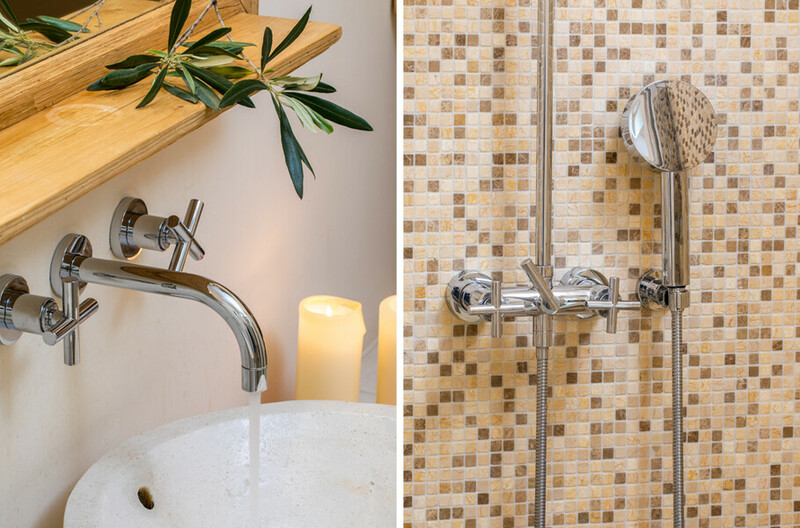 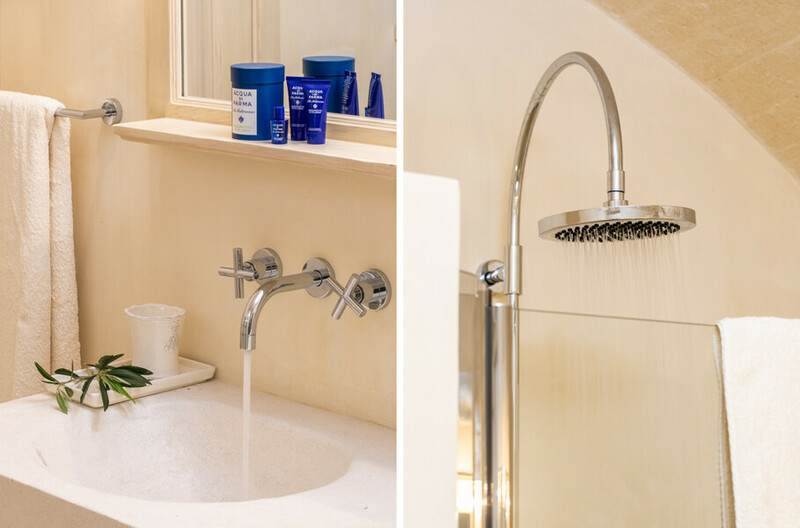 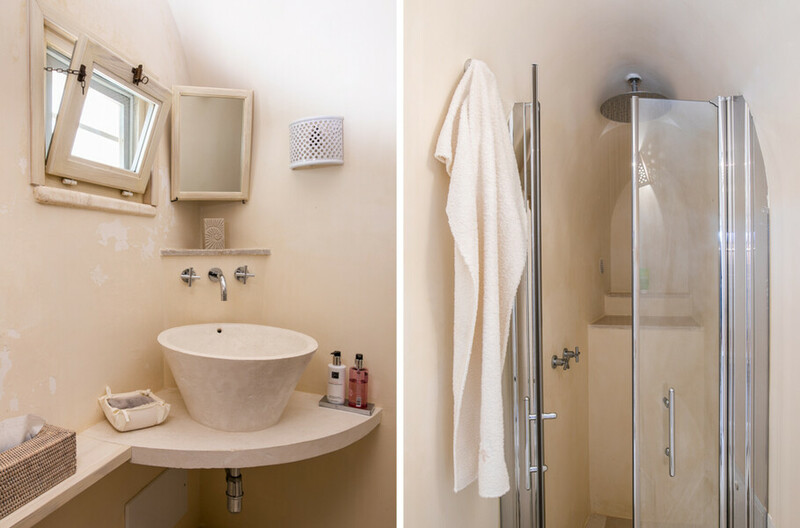 All bathrooms have a large shower, two sinks and bidet. 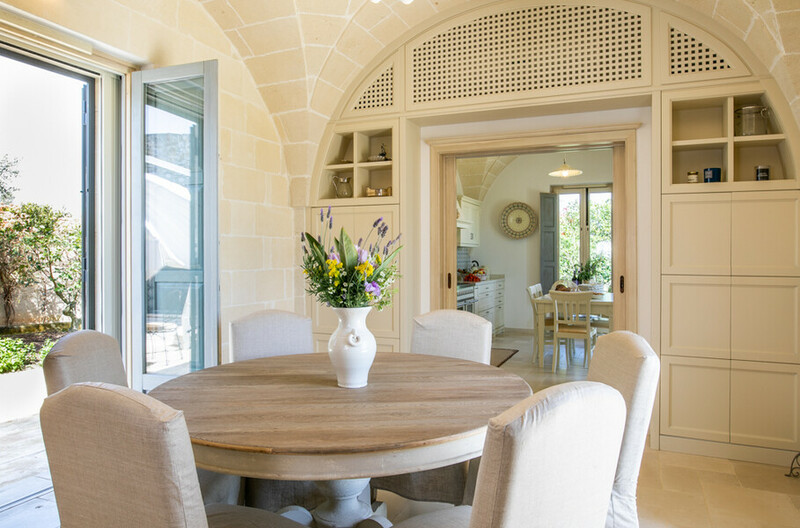 All doors and windows are protected by a mosquito net and a massive steel grille. 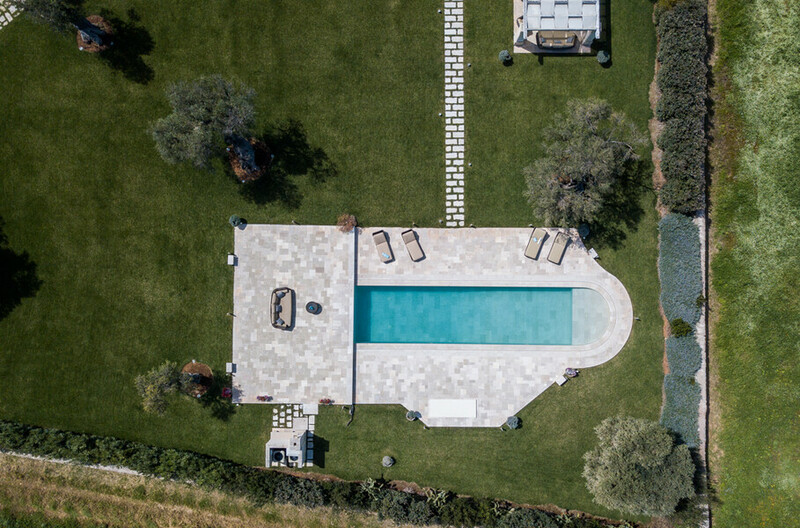 The entire complex is video surveillance.